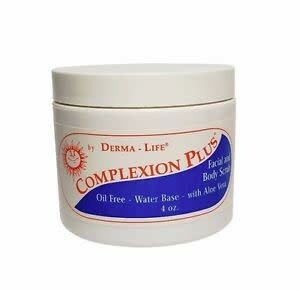 Complexion Plus® Facial and Body Scrub removes dead skin cells, scar tissue and particles that clog pores. It also stimulates circulation. Water, Processed Rice Shells, Vegetable Silica, Aloe Vera Gel, Coco Extract, Saponaria Extract (Soap Bark), Citric Acid. If this product is used with excessive pressure, abrasion could occur. Avoid contact with eyes. Flush with water for 15 seconds if eyes come in contact.